Relations between Tajikistan and Iran have fallen to an all-time low of late. For the last two weeks, around 50 trucks traveling to or from Tajikistan have lain stranded on the northern and southern borders of Turkmenistan in a standoff that defies immediate explanation. The trucks traveling from Tajikistan are carrying aluminum, produced at the country’s giant Talco plant, to Turkey. The cargo coming in the other direction comprises mainly textiles. 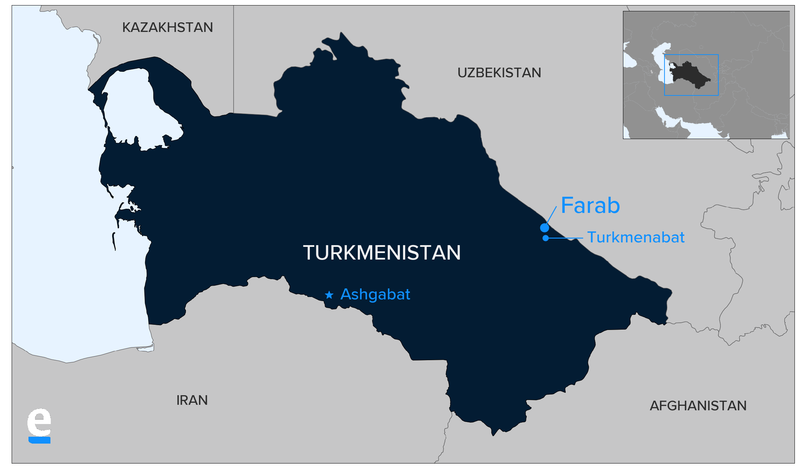 One of the Turkmen border crossings closed to Tajik trucks is in Farab. It is not clear why Turkmenistan should have barred Tajik vehicles from crossing its territory. In fact, senior transportation officials in Dushanbe have told Eurasianet on condition of anonymity that one working suspicion is that the blockade may have been instigated by Iran, which shares a long border with Turkmenistan. One long-haul driver, who also asked that his name not be published for fear of repercussions, said that in the 10 years he has been ferrying aluminum from the Talco plant in the town of Tursunzoda, this is the first time he has run into such trouble. On September 4, when Eurasianet spoke with the driver, who is parked with his freight in a location on the Uzbek-Turkmen border, he had been waiting for nine days to be allowed through. Turkmen border officials have purportedly told Tajik drivers that they might as well turn around and find another route, since they will not be allowed through. Meanwhile, large vehicles registered anywhere but Tajikistan are being let into Turkmenistan. Khairullo Abidov, director of the Dushanbe-based Real Trans freight company, told Eurasianet that in addition to the 50 or so Tajik trucks stuck on either side of Turkmenistan, there are also some 15 Turkish trucks – whose manifests show Tajikistan as their final destination – not being permitted to leave Iran. “They would not even allow our trucks into the neutral zone, they are just waiting in the parking lot on the Uzbek side and the Iranian side,” Abidov said. 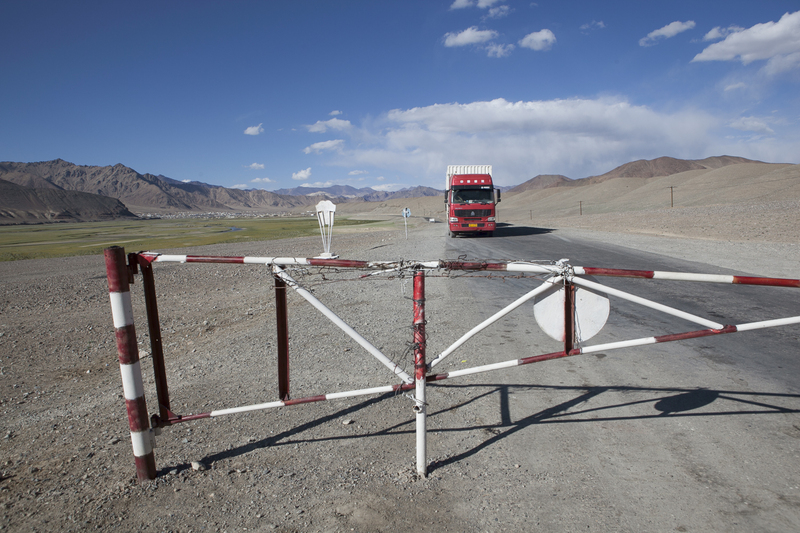 Transportation Ministry officials in Dushanbe have told Eurasianet that they have received no explanation from Turkmenistan for the cause of this blockade. A formal note requesting clarification has been submitted by the Foreign Ministry to the Turkmen Embassy in Dushanbe, but no response has been forthcoming. “For a week, we have yet to receive a clear explanation from Turkmenistan, and so we are advising our drivers to go through [Kazakhstan and] Azerbaijan. The road is longer and more expensive. It depends on the drivers whether they want to wait or drive further,” one high-level ministry source said. Abidov said that for now, he will bide his time. “But if the worst comes to the worse, then we will have to take our vehicles across the Caspian to Kazakhstan, and from there to Uzbekistan and Tajikistan. But that is an additional $1,200 for each truck,” he said. The Transportation Ministry official told Eurasianet that one of the possibilities being considered in Dushanbe is that the situation has been instigated by Iran. Turkmen officials have told their Tajik colleagues that Iran is allowing only 40 trucks through their border daily, but that does not seem to explain why the Tajiks are being singled out for this treatment. “We know perfectly well that they are letting through all vehicles except those from Tajikistan,” the ministry official said. Relations between Tajikistan and Iran have fallen to an all-time low of late. With encouragement from Saudi Arabia, which has disbursed several dozen million dollars in aid to Dushanbe, the Tajik government has embarked on an often outlandish demonization campaign against Iran. In an interview in July, Saudi Arabia’s ambassador to Tajikistan, Abdulaziz ibn Muhammad al-Badi, boasted that by doling out $200 million in aid over the years, Riyadh had managed to squeeze Iran out of the country. In the same exchange, al-Badi indicated that he gave credence to Tajik state media claims that Iran is trying to lay the ground for an Islamic revolution in Tajikistan. Most recently, Tajik officials have sought to imply that Iran was somehow involved in a hit-and-run attack in late July that left four foreign cyclists, including two Americans, dead. The killings were claimed by the Islamic State group. Whether suggestions that Iran may have somehow leaned on Turkmenistan to impose the blockade is part of a broader smear campaign, or if Tehran is engaging in reprisals, remains uncertain. Another theory is that Turkmenistan is adopting stricter security measures in response to a possible discovery of drugs being carried across the border. Tajikistan is believed by international drug enforcement officials to be a major hub for the trafficking of heroin originating in Afghanistan. One final, if implausible, scenario mooted in Dushanbe is that Turkmenistan has adopted this unfriendly policy in response to an incident on August 21 in which a young Turkmen woman died while waiting in a line at the Tajik consulate. Securing visas can entail months of wrangling and standing for endless hours in stuffy hot rooms, so the suggestion is that the woman may have succumbed to exhaustion. Tajik officials have said they think it unlikely this would have been enough to instigate a blockade, however.